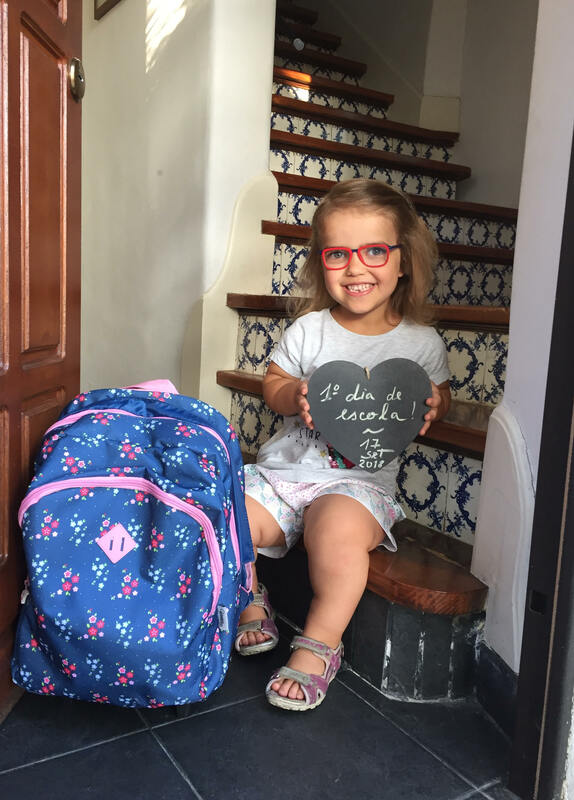 The 17th September 2018 was also a very important day for Clara: it was the first day of school. And what a thrill! And before heading to school that morning, there was a very long process of transition. Clara was integrated in the National System of Early Intervention in Childhood, that is applied to children with Disabilities until they turn 6 years old. Clara recently turned 6 and could no longer remain in the Early Intervention program. With the Early Intervention program, Clara had since she was 1 year old, a personal physical therapist, that performed 2 weekly sessions and once a week, aquatic therapy session. Also, she had 1 session per week with a speech therapist and one session with an occupational therapist. After 6 years old, the child process is evaluated by the therapists and by the rehabilitation physician or physiatrist that reassesses the child and indicates continuity of support or not. The transition process for Clara started in November 2017, in order to have everything prepared at the beginning of the scholar year. Clara is now included in the Inclusive Education program, for children with any kind of special needs as a motor or intellectual limitations. 1 – This decree-law establishes the principles and the rules that ensure inclusion, as a process which aims to respond to the diversity of needs and potentialities of each and every one of the students through the increasing participation in learning processes and in the life of the educational community. 2 – This decree-law identifies the measures of support for learning and inclusion, curricular areas the specific resources to be mobilized to meet the educational needs of all each of the children and young people along the way. What comprises this Inclusive Education program? The most important point is the modifications/adaptation in the school environment to allow the highest inclusion for the child with the need for support, in public or private school. Clara is a first grader now, at a public school. 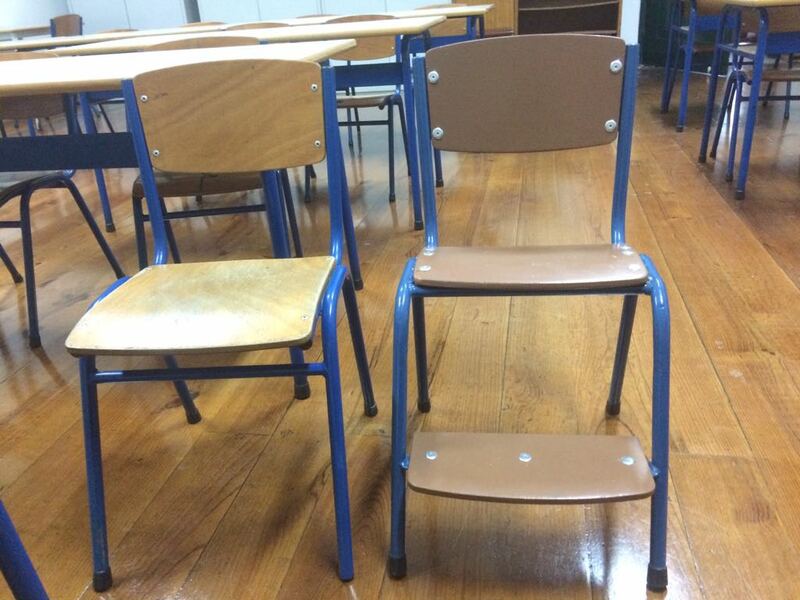 For the classroom chair, the seat was cut in half (after taking proper measurements of Clara sitting in a regular chair) and the rest of the seat was used to do a step, allowing her to seat easily and also support her feet while seated. 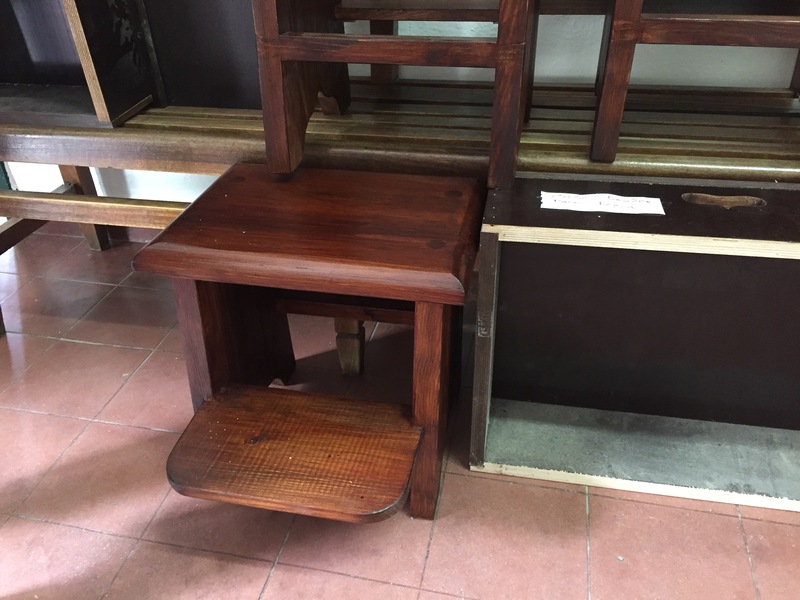 At the canteen, the benches are long and can sit up to 3 children at the same time. These longe benches could make it difficult for Clara to approach the table if other children would move them close or away from the table. So one bench was cut in 3 parts, with a small step in each, and now there are 2 of these one person bench at the canteen and 1 at the library (that was similar benches). 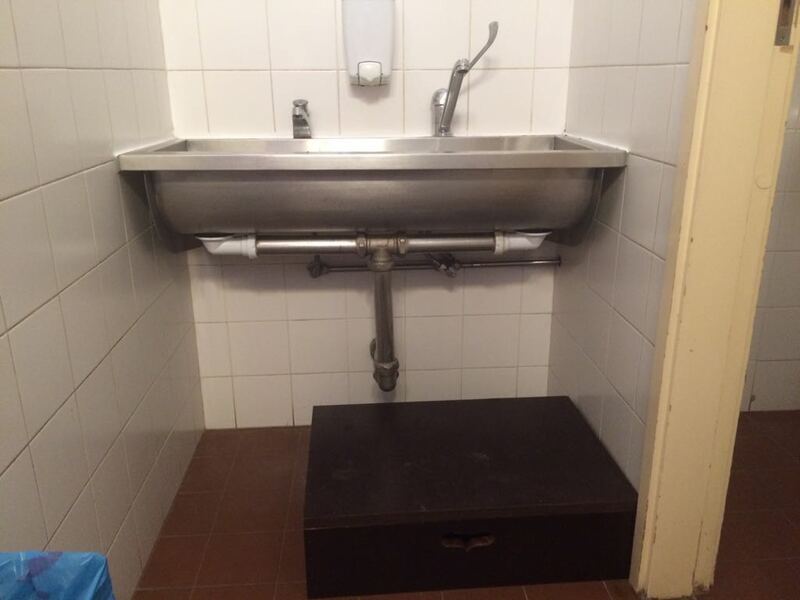 At the bathroom, a longer and easy to open and close tap was installed, which can be used for all the other girls, and a long and heavy wooden step was put in place (14cm) to allow her to wash her hands safely and with balance. 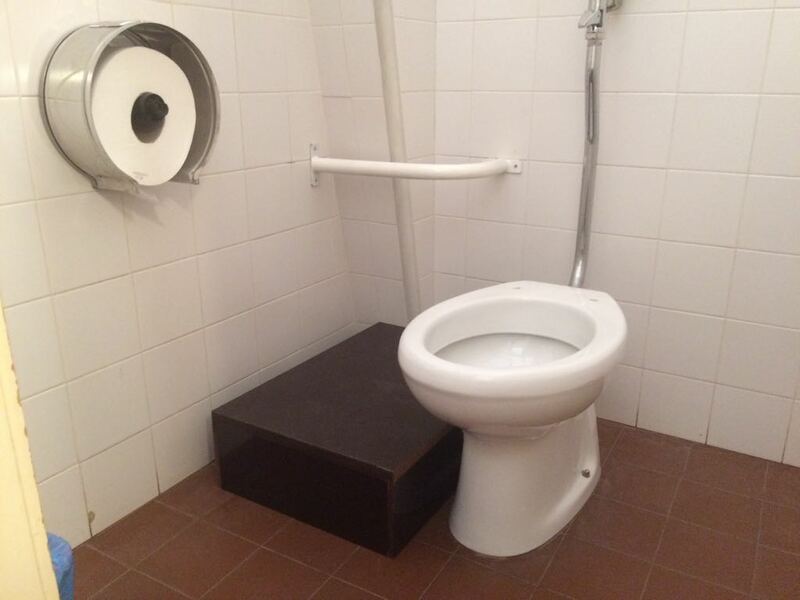 It was added a long, heavy and stable step near the toilet and also a support arm, allow Clara to undress safely over the step, seat laterally on the toilet (the same at our house), reach the paper to clean herself and it was also installed a support bar to facilitate all the movements. This way, Clara can easily use the toilet and this allows to keep the same free space for the other girls to use the toilet. The hand dryer was also lowered. 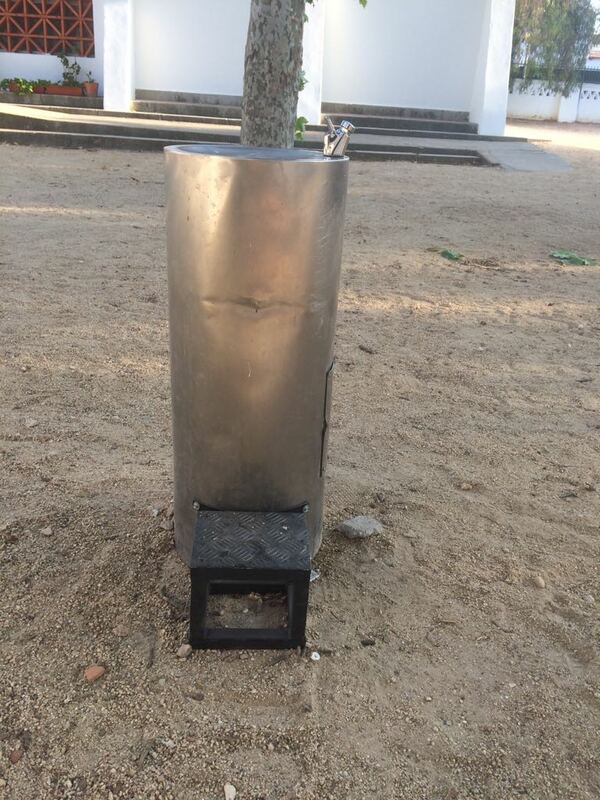 At the exterior, the only critical limitation was to reach the drinking fountain, and for this purpose was added a metal step (to resist the weather). Any other child can use it. All adaptations aim for Clara´s independence. All were also considered in a way that any other child could use it freely and would not cause any obstruction to other children, but even to facilitate its use. Also, there were discussed with her teacher all these topics including the extra effort of writing in a regular size notebook and to have small size ones to improve writing skills. Read more about an adaptative booklet to support young children here. Clara has a therapy schedule that crosses over some elective classes. And on those days, one school operational assistant/school helper will accompany Clara to the therapy center, that is outside of school. A special driver in a minibus picks up Clara and the helper at the front gate of the school, and she is taken to therapy. After the helper returns to school and one of us go to pick up Clara at the therapy center, after 5 pm. All these rights are fully available for children with motor development limitation, as Clara, due to achondroplasia, but nothing is given “without running an extra mile”: to have meeting with all school staff months before the school starts, for the continuity of therapies inside school time, and have all adaptations ready at the beginning of school. So, run an extra mile and all will be easier for your child and for her/his independence skills and self-esteem. Until now, Clara is enjoying very much school, making new acquaintances every day. 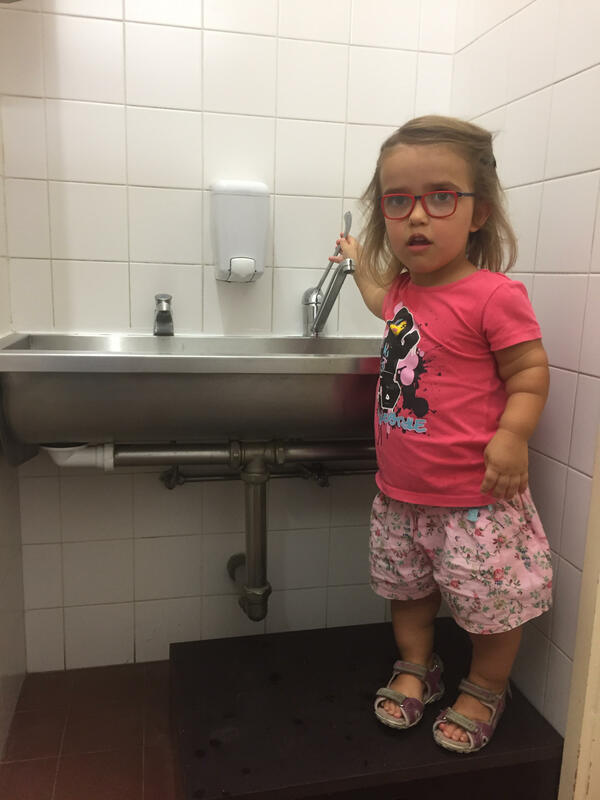 All teachers are aware of achondroplasia, all helpers and especially her teacher, who was highly interested in knowing more and we had already some meetings to introduce Clara and achondroplasia. One of the most important things the teacher was told was to allow Clara to do things by herself, without being asked frequently if she wants help. “If Clara needs help, she will ask for it”, that was an important idea we wanted to introduce. Also, it was basic to say that achondroplasia does not interfere with intellectual capacity, but as she can get tired quicker. Above all, what we want is for Clara to be a 6-year-old girl living the novelty of school, enjoying her time there and learning new things and for all the others around: teachers, helpers, children, and their parents, to see her physical distinction as a new vision, knowledge, and understanding, in their lives. By now, this is being a top 5 experience! Clara, you are such a beautiful young lady :). And full of Power and determination. These are very good suggestions, so we can learn from them. Have a wonderful first year of school, Clara! Very useful detailed information! Thank you!